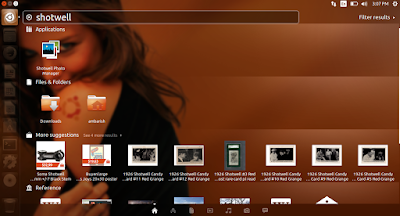 If you have a series of photographs/images which you want to use as your Desktop Wallpaper as a slideshow in Ubuntu, you will need to have Shotwell - an application that is installed by default in Ubuntu. Login in to your Ubuntu system and search for Shotwell in Ubuntu. Navigate to File > Import from a folder, and select the images you want to set as desktop background in slideshow. Once you have imported, select the pictures from the collection. Now navigate to File > Set as Desktop Slideshow. It will ask for the time duration for which you want to set one particular image. Select according to your preference and you are done. There is another open source application for changing wallpaper in Linux named Variety. It is packed with great features and is easy to use. The advantage of Variety over the Shotwell is that not only you can create wallpaper slideshows from your local images, but also from online sources and allows you to rotate them on a regular intervals and provides easy ways to separate nice images from the junk. It also can display a nice digital clock. Variety not only runs for Ubuntu, but also supports most Ubuntu variants like Xubuntu, Lubuntu, Linux Mint and also on some other Linux distributions like Arch, Fedora and Debian.